He can dress up to be Santa's helper this holiday season with this elfin baby romper in Irish green. 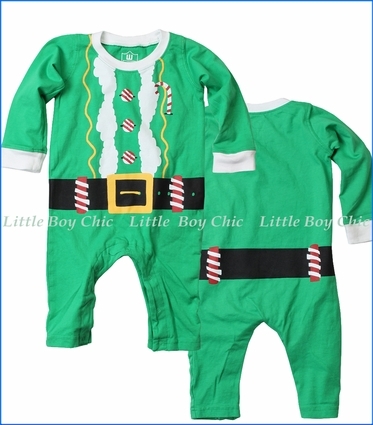 Flocked elf emblishments include candy cane buttons and belt. Soft hand feel. Contrast crew neck and cuffs. No tag to irritate his skin. Woven label on seam.